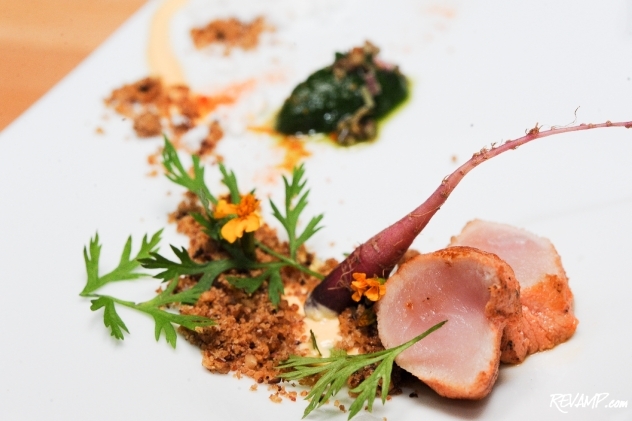 Chef RJ Cooper Goes Rogue On Fine Dining; 24-Course Tasting Menu To Guide D.C. Taste Buds On New Culinary Journey! Rabbit/carrot/horseradish/sorrel. 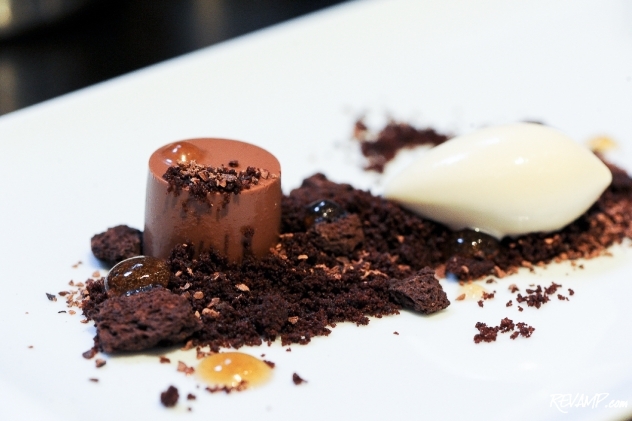 One item on Rogue 24's 24-course tasting menu. 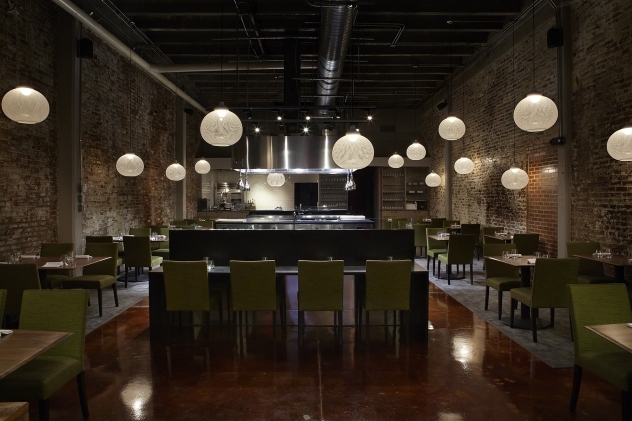 BLAGDEN ALLEY -- Less than a week before its grand opening on July 27th, Chef RJ Cooper stands inside the open kitchen to Rogue 24 surveying the culinary dream team that he has assembled to help him open his first Washington, D.C. restaurant. 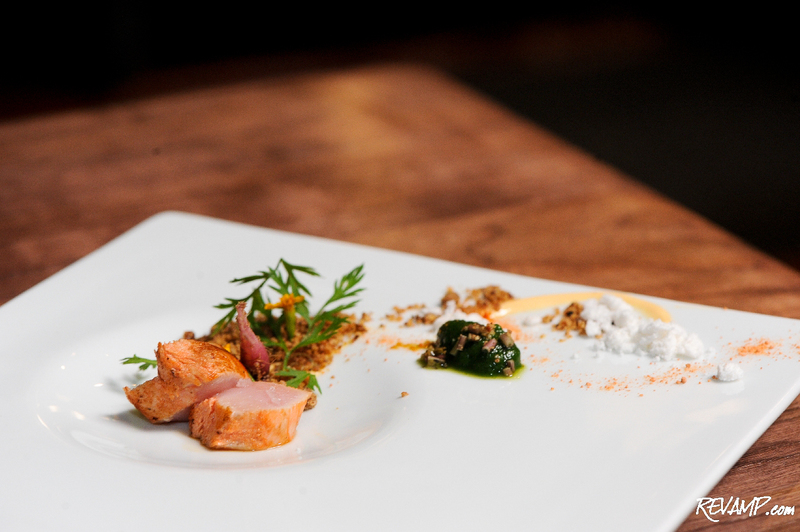 Chef RJ Cooper prepares a course of rabbit, carrots, horseradish, and sorrel herbs. It�s a painfully hot Friday afternoon and the Rogue 24 staff has generously gathered to give REVAMP.com (well, REVAMP.com and the Food Network anyway) a sneak preview of some of the menu items that will be made available come Wednesday�s debut. 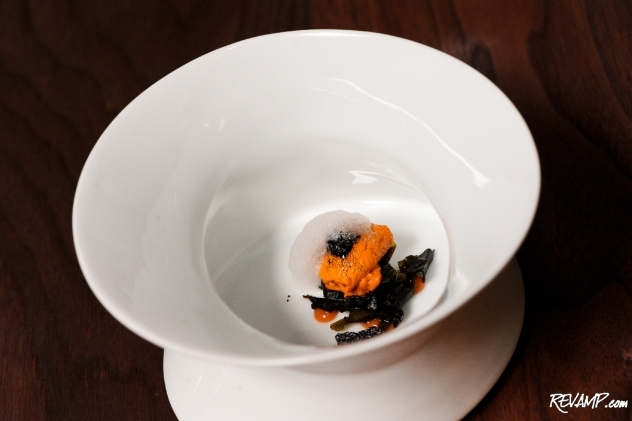 Sea urchin/ink lava rock/seaweed/sea water air. Cooper is clearly the master of his domain and, over the next hour, we witnessed as he led his team in the painstakingly detailed creation of five gourmet courses. To most, a five course meal might sound like a well rounded occasion, but not at Rogue 24, where 16-course ($100 without beverage pairing; $145 with alcohol pairing) and 24-course ($120 without beverages; $175 with) tasting menus are the norm. A Rogue 24 line chef takes a mental picture of the precise configuration of a plate Chef Cooper has prepared. For you see, Rogue 24 takes its inspiration from the �rogue� 24-course tasting menu Chef Cooper created while serving as the Chef de Cuisine at the District�s award-winning Vidalia restaurant from 2004-2010. During his tenure there, he scored numerous accolades from food critics at The Washington Post and Washingtonian magazine and even nabbed the prized James Beard Foundation Award for �Best Chef Mid-Atlantic� in 2007. Such accolades don�t come easily though and, as they say, the devil is in the details. And boy is each Rogue 24 menu item detailed! Moving beyond the requisite fresh ingredients and masterful preparation required at any high end restaurant, Chef Cooper seeks to transcend the notion of fine dining �simply� being a gourmet meal. Instead, he hopes to guide his guests on an �interactive dining experience� each night, with their menus serving as a culinary map of sorts. 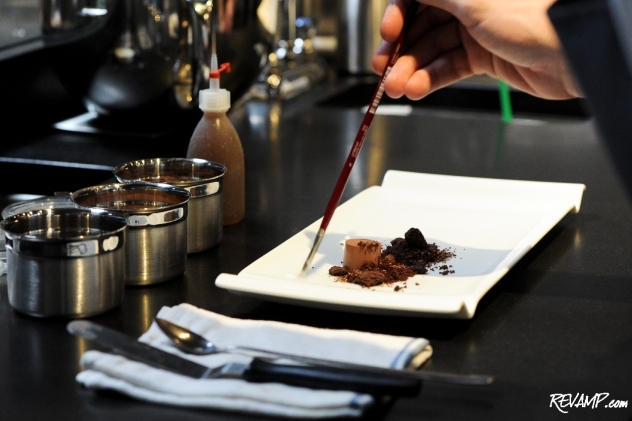 Tweezers, tongs, and yes, even paint brushes are used in the preparation of each course. Rogue 24�s 52-seat dining room boasts a centrally-located open kitchen. / Photo: Greg Powers. Careful construction requires both skilled craftsmen and high-end equipment, however. Luckily, Rogue 24 is teaming with both. Topping off the 52-seat restaurant�s staff of experts, Matthew Carroll serves as General Manager and Advanced Sommelier. Most recently the wine director at Falls Church, VA-based 2941, Carroll refined his craft before that at the acclaimed Inn at Little Washington. And Rogue 24�s Le Cordon Bleu-trained Pastry Chef, Chris Ford, hails from area favorite Trummer�s on Main and was named one of StarChefs� (a respected industry publication) rising stars in 2010. 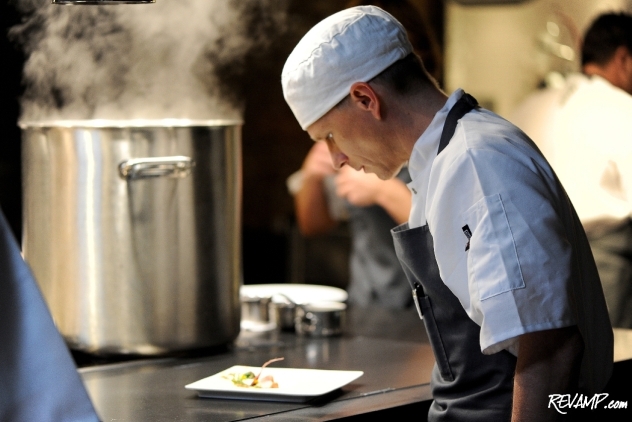 As for equipment, one doesn�t have to look far after entering the new restaurant to be suitably impressed. 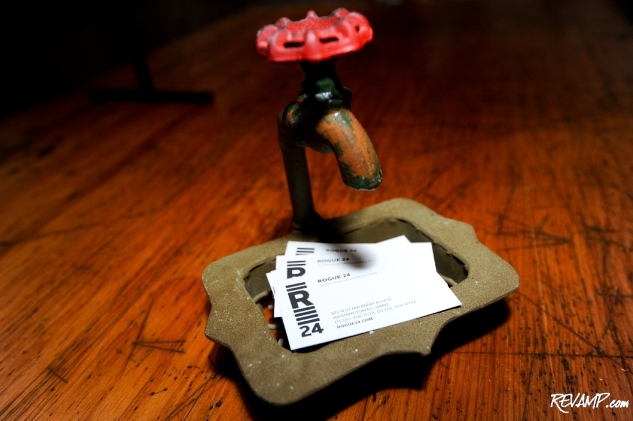 Forget about stainless steel appliances and high-end cutlery (although, check and check). Rogue 24 has machines more typically associated with sophisticated laboratories! 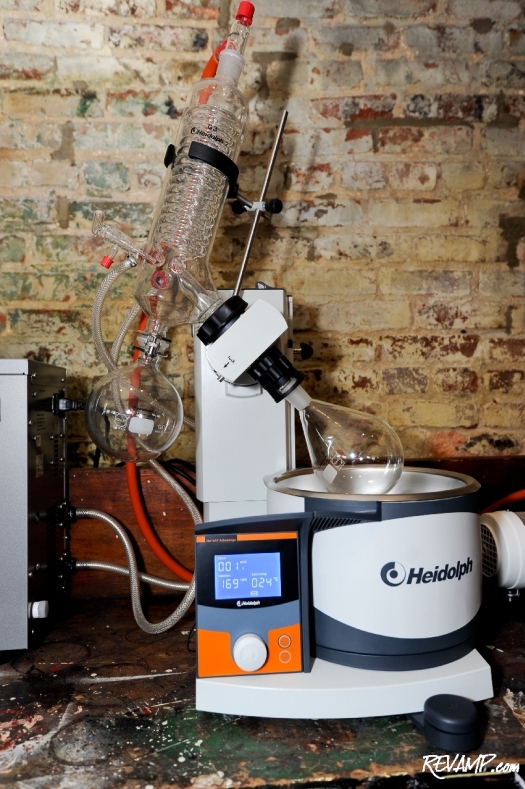 $5,000 rotary evaporators? The restaurant owns two (one proudly sits next to the vintage reception desk in front). For those that are simply looking for a more casual experience, Rogue 24 has that base covered as well. An intimate 14-seat salon, no reservations required, will pair a la carte dishes with an avant-garde cocktail program helmed by Derek Brown. Brown, of course, is the acclaimed mixologist behind the Columbia Room and Rogue 24�s salon will leverage his years of experience in offering guests a series of handcrafted cocktails made with small-production, artisanal liquors. 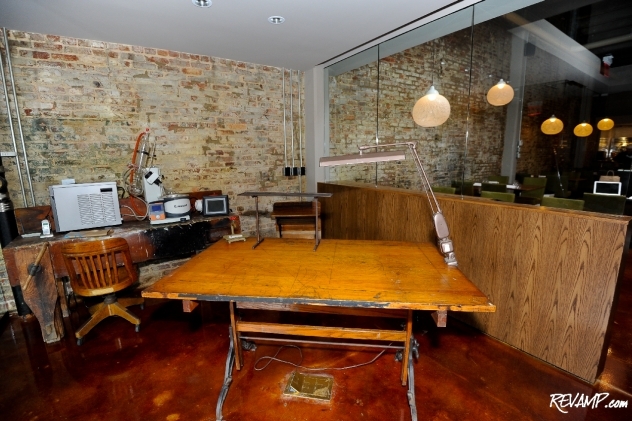 The restaurant�s reception area features a vintage drafting table from Chef Cooper�s family. 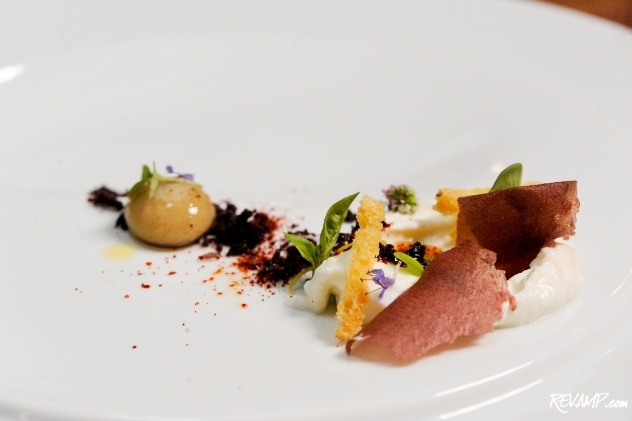 Inevitably, Rogue 24 is bound to draw comparisons to Chef Jos� Andr�s� famed 30-some course Minibar. 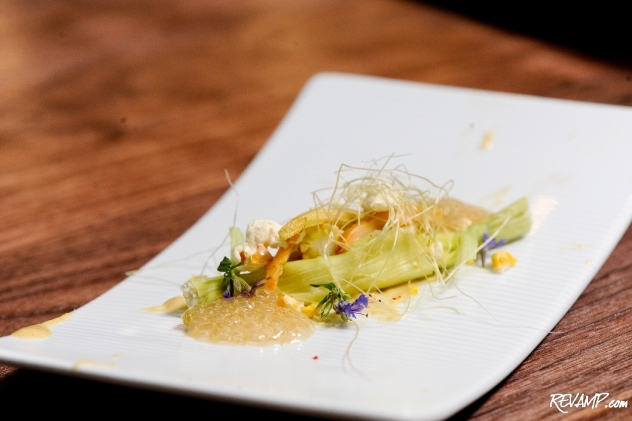 Such contrasts are indeed deserved given that Chef Cooper recruited reservationist Bonji Beard directly from Minibar, which is currently undergoing its own upgrade and will reopen in the fall. Regardless of how the battle of the small bite tasting menu evolves though, what is clear is that the city�s gourmet foodies will ultimately triumph. 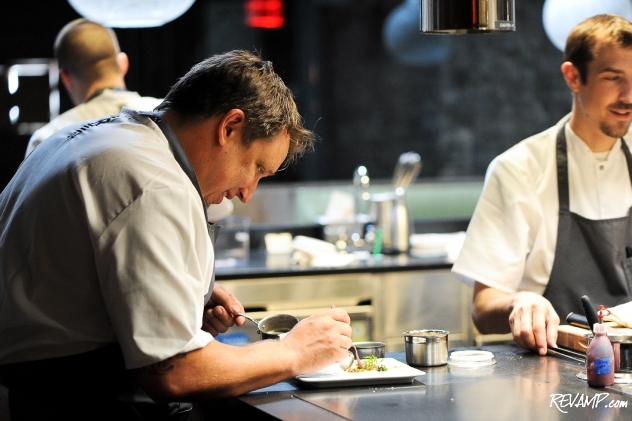 Let the journey, 16-course or 24-course, begin! Rogue 24 will open to the public on Wednesday, July 27. The restaurant�s hours are 6:00 p.m. to midnight, Tuesday-Saturday. Reservations accepted for a maximum of six guests will be available one month (to the date) in advance. A credit card is required to hold the reservation and cancelations must be made 72 hours in advance to avoid a full charge.